The management reporting routine is one of the most time-consuming processes for a treasury or finance department in the month-ends. Data is scattered around in different sources, tireless cut-copy-paste in Excel with tricky formulas and automation is second to none. Imagine if you could compile your whole month-end management report pack in a matter of minutes? No more after work in Excel, no more pulling data from different sources and no more email attachments to management. 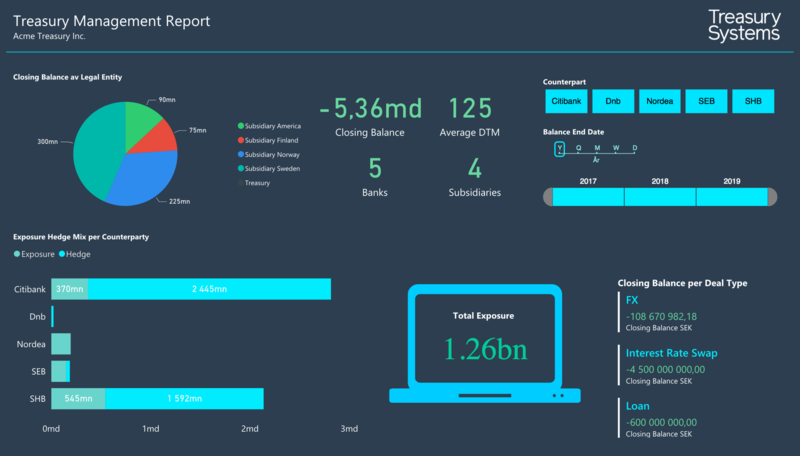 With Treasury Systems seamless integration to Microsoft Power BI you can create beautiful and professional looking reports and dashboard with automatic updates. Publish your month-end report pack to senior management and other stakeholders with ease by sharing a link or throw it up on a big screen in the office. The possibilities are endless. So what is Microsoft Power BI? Add logos, color schemes, images and comments to your reports to match your company's branding profile. Power BI enables total customisation of design and layout. 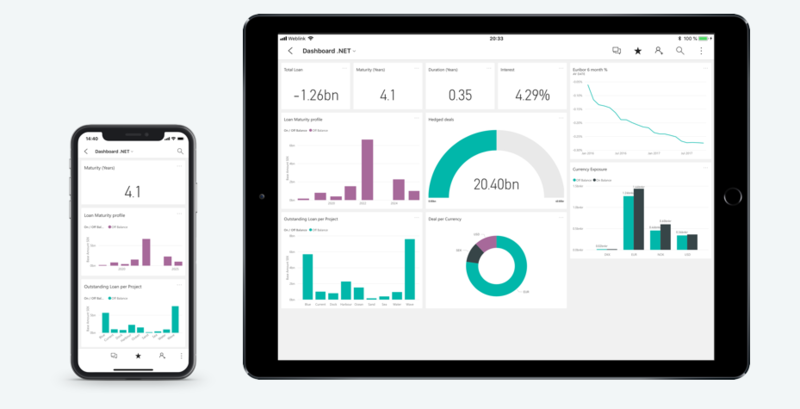 On top of viewing your Power BI reports via the web browser and your mobile devices, reports and dashboards are fully embedded in the system with pixel perfect representation. 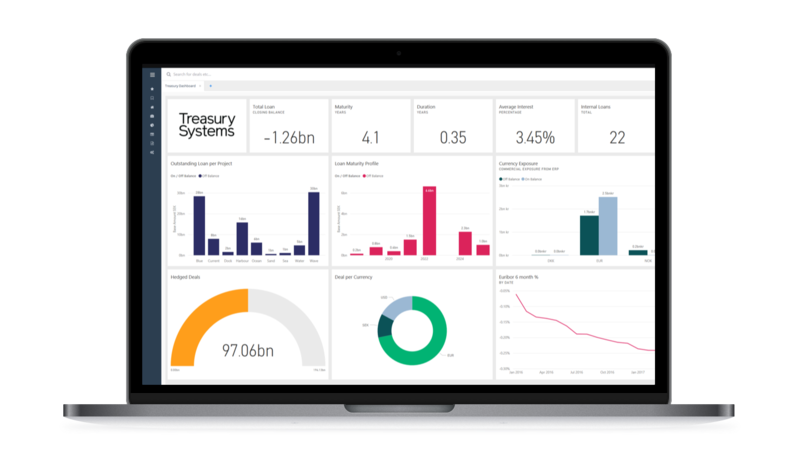 Power BI enables full interaction with your data. Slice and dice your data by clicking on the charts and buttons to filter. Below is a live example of a multiple page Power BI report that you can play with.